Please welcome Melissa LaPierre and tortie Mudpie with their top cat books roundup. Melissa’s blog is a treasure trove of lovely pictures and fabulous reviews so we invite you to join our journey through the world of detectives, cosy mysteries and real life cats, just in time for Christmas Holiday gift giving through our Amazon Smile Links. Cats and books go together just like mac and cheese and peanut butter and jelly. That’s why my blog Mochas, Mysteries and Meows began life as a book blog, yet slowly but surely my cats took over (as cats are known to do). As a little girl in my playpen I had a cat in one corner and a stack of books in another. Four decades later (EEK!) those are still the two things I am always surrounded by…my bliss. Every night before bed you’ll find me curled up on the couch with a book (most often a book about cats), my precious tortie Mudpie, and a mug of hot chocolate. While our blog covers every aspect of living a cozy, cat-centric lifestyle, I take pride in being a “go to” resource for my readers who are looking for the latest and greatest in cat-related titles. I could talk about cat books all day long, so I was very excited when I was asked to share a handful of my favorites for A Place for Cats’ blog. Here are our choices for curling up with during those long winter nights ahead, and for all the literary ailurophiles on your holiday shopping list! Love Saves the Day by Gwen Cooper In a word this book is simply exquisite. While the world knows Ms. Cooper through her heroic black cat Homer, her first novel is the story of a little brown tabby named Prudence who touches every life she comes into contact with; it’s the story of a mother and daughter, once close yet an unknown wedge has been driven between them; it’s a classic for anyone who loves a beautifully written novel about the relationships that make up our lives and a book that will stay with you long after the turn of the final page. Prudence now has her own special place in my heart right alongside my own beloved pets…she feels that real to me. The No. 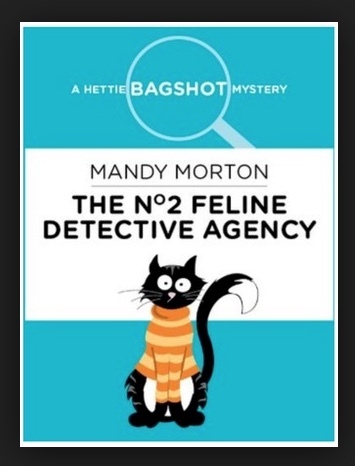 2 Feline Detective Agency Hettie Bagshot Mystery Series by Mandy Morton While it goes without saying that my favorite mysteries are cat cozies, this series goes a step beyond that with the entire cast of characters comprised solely of cats. That’s right…in this little world there are no people, just cats. Book me a one way flight, please!!! Hettie Bagshot and her sidekick Tilly open up the No. 2 Feline Detective Agency and take on puzzling cases in order to help pay the rent on their back room apartment in a bakery. While reading these brilliant little stories I find myself completely absorbed in Hettie and Tilly’s cozy world; I only wish I could grab a mug of cocoa and join them in purrson. Each kitty has their own unique cat-like personality and the humor is delightfully irreverent. The True Tails of Baker and Taylor: The Library Cats Who Left Their Pawprints on a Small Town…and the World by Jan Louch This beautiful memoir is a love letter to cats and books. 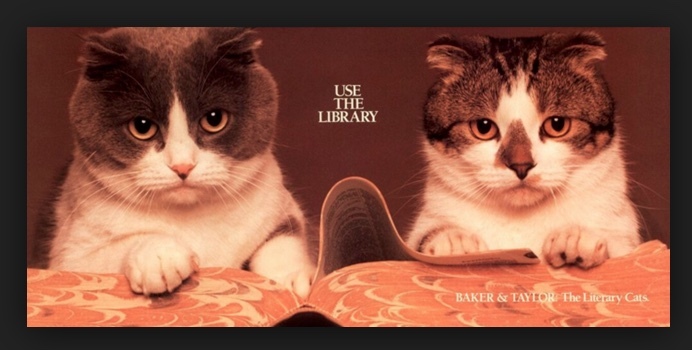 I’m almost embarrassed to admit that until this book I had never heard of the Baker and Taylor cats, a pair of Scottish Folds that went from library cats to worldwide celebrities. My only excuse is that their heyday was in the 1980’s, my childhood years when I was a frequent patron of my local library but not as enmeshed in cat culture as I am today. In any case, if they were around today they’d be giving Grumpy Cat a run for her money! A Snowflake in My Hand by Samantha Mooney This book is a true cat classic, set at the famed Animal Medical Center in New York City during the early 1980’s. As heart-wrenching and painful as it is to read, anyone who has ever loved and lost a cherished cat will recognize the unbreakable bond that is formed during the short time they have with us here on earth, and even though we lose these precious angels all too soon they never really leave us. It takes a special kind of person to work with terminally ill animals on a daily basis, and the people and cats we meet in this book are simply unforgettable. Queen Paisley the Magnificent by Sarah Andrews I don’t think I’ve ever read a book that has left me grinning from ear to ear the entire time I was reading it like this one did. It is without a doubt one of the most adorable and entertaining cat stories I have ever had the pleasure of reading. What happens to a fur family when they believe their beloved human is never coming home? One clever little tortie named Paisley believes she has everything under control…or does she? Strays by Britt Collins Imagine the pain of a beloved cat going missing, and for months you have no idea what’s happened to her. Imagine finding what you think is a stray cat, completely losing your heart to her as she changes your life, then discovering she has an owner desperate to be reunited with her. Both are nightmare scenarios for any cat lover, yet it’s the unthinkable situation that two very different men and one amazing cat find themselves facing in one of the best cat books you’ll ever read. This is a book that is destined to be a movie. It’s an amazing story celebrating the power of love and the impact that one little cat can have on so many lives. The Cattarina Mysteries by Monica Shaughnessy While he’s famous for writing The Black Cat, did you know that Edgar Allan Poe was owned by a tortoiseshell cat named Cattarina? 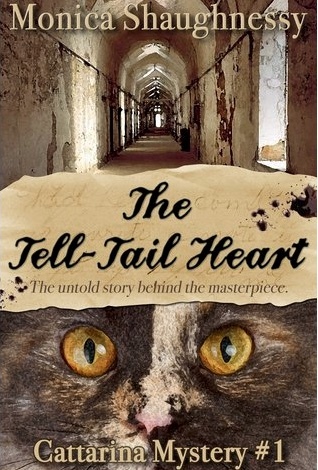 As the star of her very own historical mystery series she is the epitome of “tortitude” and uses it to solve local crimes against both humans and animals, while in the process continuing to be her beloved master’s muse. Are you a fan of cat books?